In the third series of Regenerating Communities @ Empress Place, on 13th and 14th April 2012, we were treated to two nights of rich heritage and cultural performances at ACM Green (Asian Civilisations Museum) by Sri Anggerik Bangsawan, one of the few surviving Bangsawan troupes in Singapore. Regenerating Communities at Empress Place is a special 3 part arts and culture initiative featuring artists, art forms and programmes that draws Singapore’s rich heritage and culture, to bring it back to Empress Place, revitalise and reaffirm Empress Place as a heritage place. This is my second time at Regenerating Communities @ Empresss Place, my first time was on Regenerating Puppetry in Singapore by Sin Hoe Ping Puppet Troupe and I was happy to be back again at ACM Green, to photograph, document, write and share on a heritage and cultural performance by Sri Anggerik Bangsawan, for Dang Anum : A Bangsawan Performance. The glamour of Bangsawan, it was a very popular form of entertainment in Singapore during the 20s and 30s. Today, Bangsawan, this rich heritage and culture, is facing an uncertain future ahead. 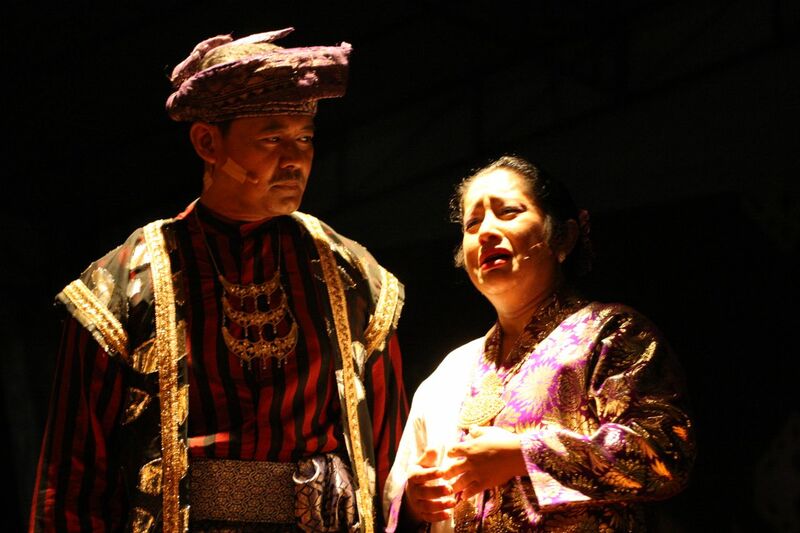 Dang Anum is about the telling tale of Dang Anum, daughter of Sang Rajuna Tapa – a faithful Minister of Sultan Iskandar Shah, ruler of Singapore from 1399 to 1402. Their dressing were bright and colourful, enchanting and mesmerising musical performance that goes along with their marvelous performance, dancing and engaging with the spectators, very heartwarming and friendly. 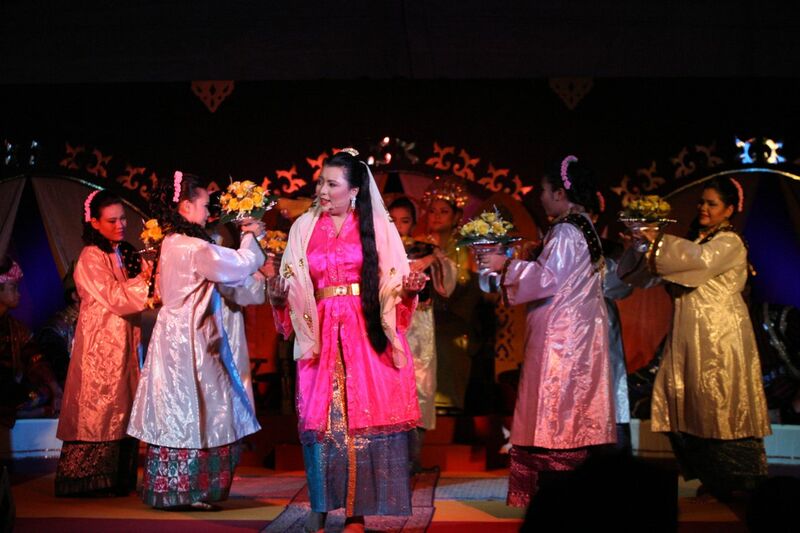 This Malay Opera performance is also a tribute to the troupe’s founder, the late Haji Hamid Ahmad. While I was photographing this wonderful performance, I can feel the passion and fire in the performers, to spread the love for Bangsawan. 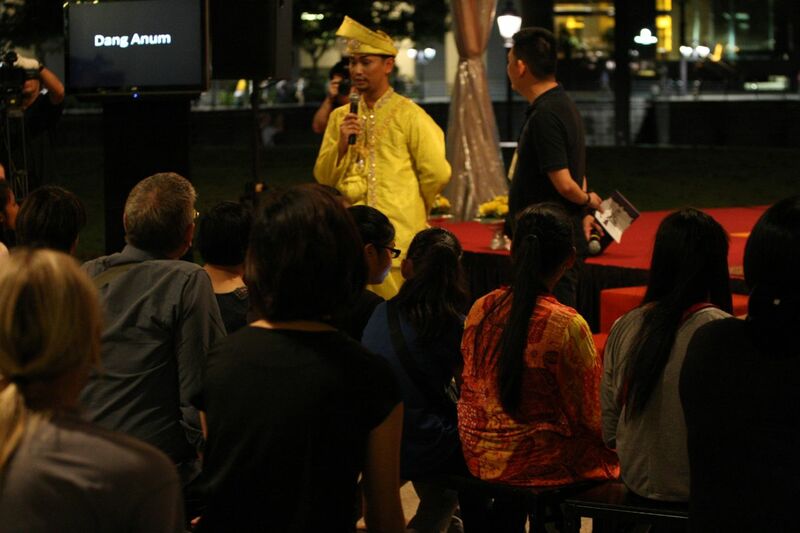 I am thankful that I was able to document it down and help share it with my friends and readers locally and internationally, doing a small part to help Pay-It-Forward, letting more people know about our heritage and culture of Bangsawan in Singapore. Along with a group of fellow heritage buffs/photographers/social media enthusiasts, each of us is doing a small part to bring back our culture and heritage to her glory days in Singapore. 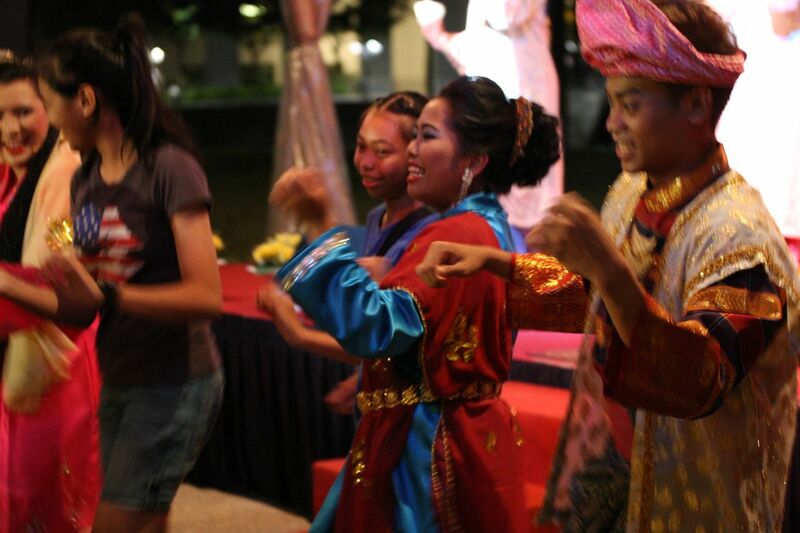 Do check out the photographs taken at Dang Anum : A Bangsawan Performance. With this story written, shared and added to my list of projects covered, I am bringing my photojournalism into another field – heritage, cultural, preservation and conservation. April Drinks with UQAAS at 1 Altitude ! Nice….fully support your work in heritage awareness….